A Race Night is one of the best ways to raise money for a club, charity, association or school. Full “How to Run a Race Night” options are available through our team. These packages allow the participant to have a “day at the races” and help a good cause. All the equipment needed to carry out a race night simulation is supplied and we have options to have help on site. We also have the options to add to the packages and extend the fun and fundraising even further. Fund raising is always difficult for Schools, Associations and Charities and coming up with new and innovative ways of generating that extra capital is always very difficult. With an Event Dimensions “Night at the Tables” Fund raising Night we guarantee a fun filled night and plenty of profit for you! Your guests arrive to the chosen venue for drinks / dinner and are credited with a $1,000 fun money token. 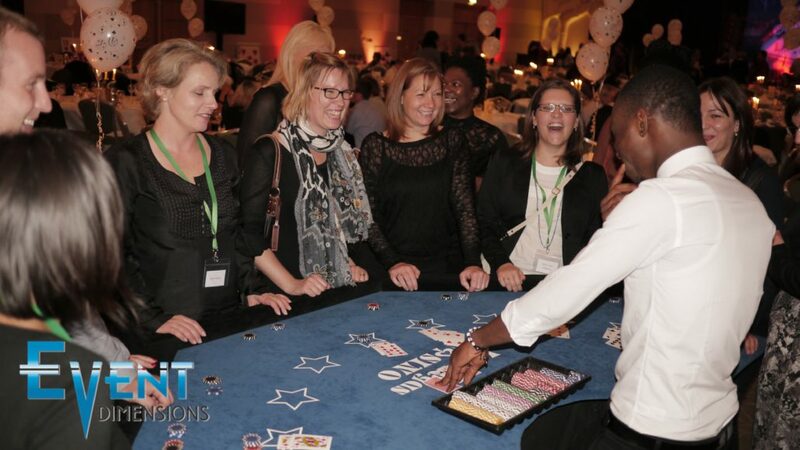 After the drinks / dinner our MC will take to the stage and welcome the guests, briefly explain the format of the night and invite everybody to gamble at our gaming tables. 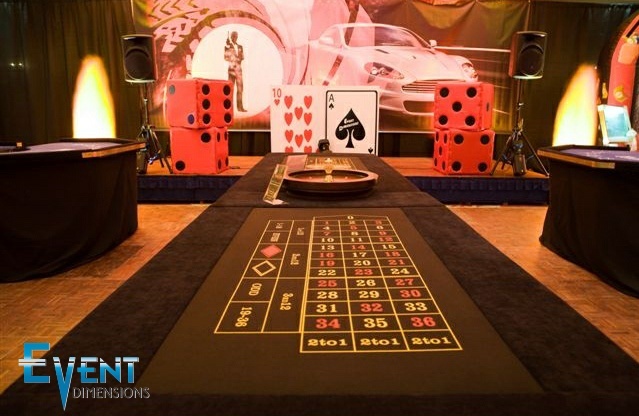 Blackjack and Roulette tables are positioned around the venue complete with Croupiers, all table accessories required and Casino Signage. 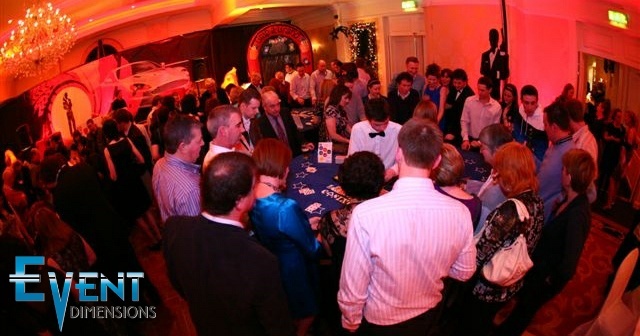 The rules of each game are explained by our trained croupiers and the gambling begins. The main objective of the night, from a gaming point of view, is to become the highest roller at your table in order to get to the final table where you play for one of the main prizes on the night. Don’t worry if you’re not the best of gamblers if you run out of chips you can buy more at our Cash Booth. After the 2 hour Casino is over the highest rollers are taken to the final “Blackjack Shoot out” table or can have a go in our Grab a Grand Machine to see who is our overall winner. The prizes are given out and then it’s dancing until the wee hours of the morning with our DJ. There are 2 ways your organization can raise funds from the night. Admission tickets and sponsorship. If you contact Darren McCann on 01-8010333 of by e-mail: darren@eventdimensions.com and he will explain the concepts to you. An average night can expect to raise between €5,000 and €10,000 but with a little hard work the sky is the limit.